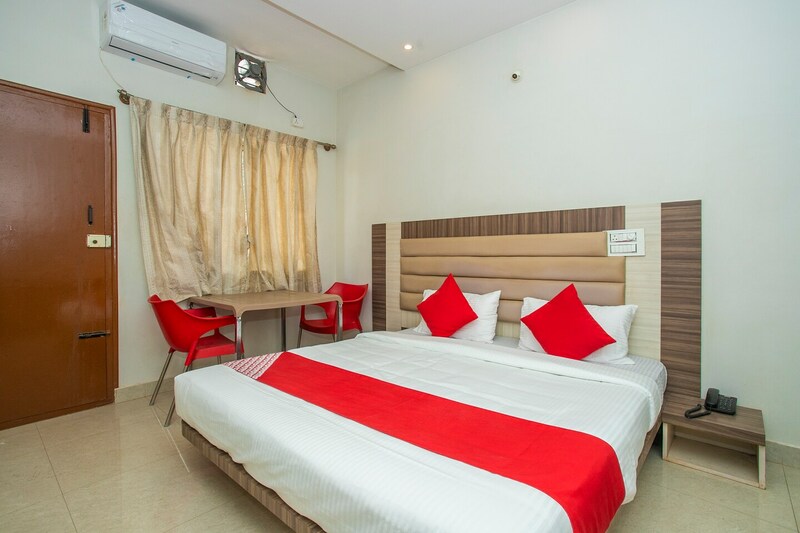 Lg Residency offers its guests a peaceful experience and assures a relaxing and tranquil stay. Rooms are well-lit and and has pleasant interiors. Tables, dresser and a wardrobe are available within the room making it convenient for the guests. The cushioned headboards add to the comfort of the guests. Free Wi-Fi enables the guests to catch up on work or connect with friends and family. Guests can feel safe as the hotel is equipped with CCTV cameras too.